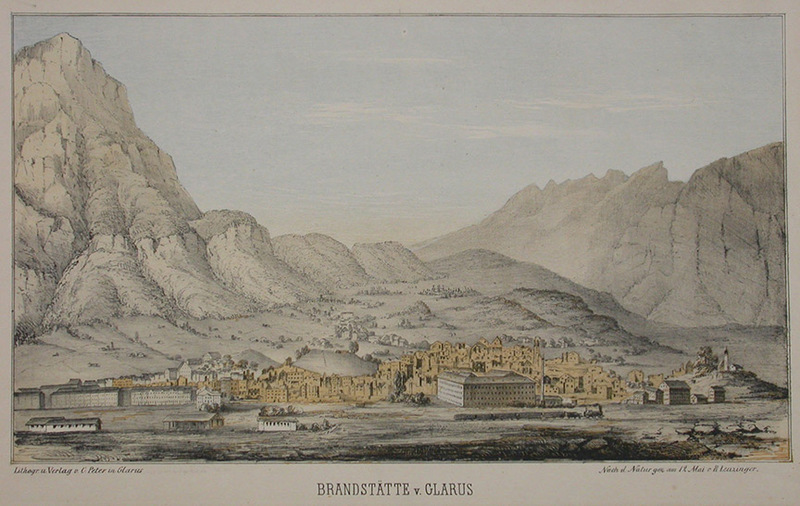 Following the fire in Glarus in 1861, it became apparent that many of the town's buildings, their contents, and the associated accumulated risks had been undervalued. Of the 763 households affected, only 129 had insured their contents, and 634 had no insurance whatsoever. Moreover, of the households that did take out insurance cover, 40% were underinsured. The Glarus fire was especially hard on the Schweizerische Mobiliar insurance company, which had to bear a loss of over one million francs – a quarter of the loss arising from damages to contents. The Canton of Berne supported its losses by contributing CHF 300,000. A Cantonal fire insurance institution responsible for insuring Glarus' cantonal buildings had been in existence since 1812; 288 of the 793 buildings damaged in the fire had been insured with it. It became evident, though, that the insurers had underestimated calculating the premiums. The fact that the cantonal insurer was unable to adequately cover the financial costs resulting from the fire prompted widespread opposition to institutions of this kind throughout Switzerland. The Canton of Glarus was obliged by law to step in and help. Ten days after the disaster, an extraordinary meeting of the Cantonal Annual Assembly gave the District Administrator and Government the go-ahead to issue a bond to cover the losses paid out of the canton's building insurance reserves and to help rebuild the government buildings. It also became clear that there was a need for far more private fire insurers. In turn, these would need to be backed by reinsurance. Emblematic of that awareness were the words used by Prof. Dr. Munzinger, an elected member of the Berne government and of the Glarus aid committee, in his appeal to the public: " [W]hat we must, in the aftermath of the disaster in Glarus, set down in words of fire and shout out to all the world, is this: insure yourselves!" 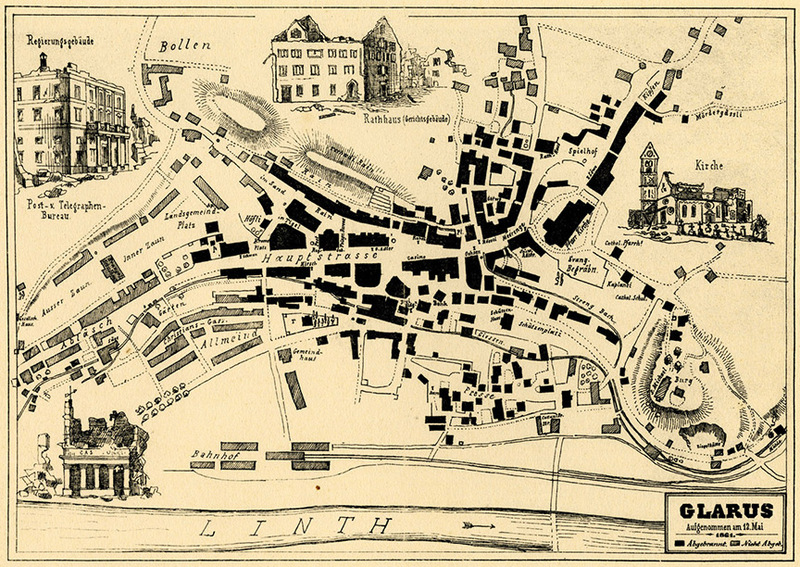 In December of that same year, the Canton of Glarus attempted to establish a reinsurance company in collaboration with other cantons that had fire insurance institutions. The idea failed because of the passive stance adopted by some of the other institutions. The disaster did, however, lead to the founding of insurance corporations such as Helvetia Fire (Helvetia Feuer, 1861) and Basel Insurance Company against Fire Damage (Basler Versicherungs-Gesellschaft gegen Feuerschaden, 1863).